Many Vanderbilt students have thought in passing, “What does the VSG President even do? 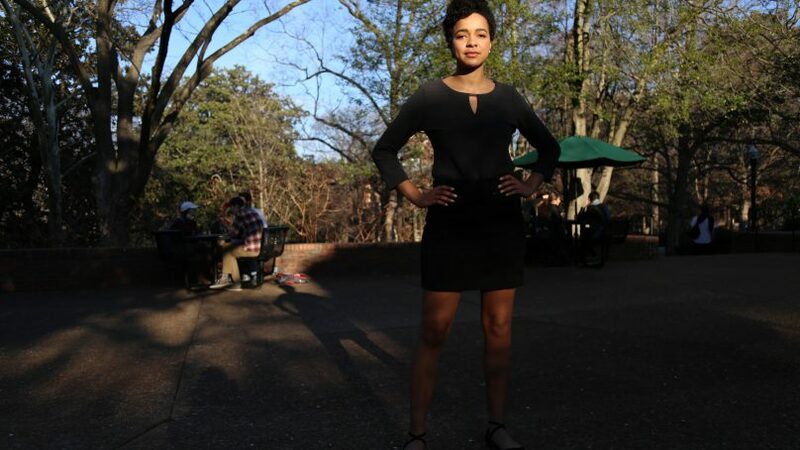 Why does it matter who we elect?” Few people outside of Vanderbilt Student Government know details of the organization and its true purpose on Vanderbilt’s campus. Ariana Fowler is a senior from the suburbs of Dallas who is studying international development at Vanderbilt. She’s the co-chair of the Global Health Alliance, a tutor with Project Bridges, a co-chair emeritus of the Vanderbilt University Speakers Committee, and is a member of Kappa Kappa Gamma. She’s also the VSG President. According to Ariana, “Most of the [president’s] power is informal, and depends on relationships with the administration.” The president accomplishes things largely through meeting with members of the administration and discussing what students want. Ariana meets weekly with Dean of Students Mark Bandas, and monthly with Chancellor Zeppos. In addition, she meets with other university administrators such as Vice Chancellor Hill, more spontaneously. The president also works with her cabinet which includes the vice president, the speaker of the senate, and the chief of staff, as well as the VSG committees. 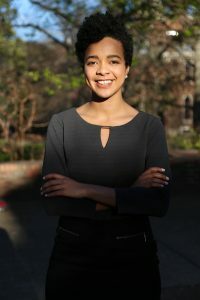 The president is most powerful in her ability to consult with administrators from the stance of a respected and trusted undergraduate representative.“The administration sees me as the voice of the students,” explains Ariana. Contrary to popular belief, Ariana assures the Vanderbilt Political Review that the administration has usually been very compliant. “I’ve experienced very very little pushback from the administration,” said Ariana in regards to her proposed initiatives. “They are constantly looking for ways to work with students.” Minor improvements, such as changing the hours of the Alumni Hall gym, are simply a matter of sending an email to the right person, and the turnaround time can be less than a day. Longer term initiatives that Ariana has achieved include getting UBER on the Commodore Card and HBO Go for students. She has also improved institutional memory within VSG. When a new slate of students takes over VSG, progress made on ongoing projects from the previous year is frequently halted or reversed. By reorganizing many initiatives into committees, the VSG branch with the lowest turnover rate, progress is more likely to be continuous. Other projects that Ariana and VSG continue to work on include Vanderbilt’s land use plan, FutureVU, Passport to Nashville, and Experience Vanderbilt, which helps students access the financial resources necessary to participate in the many clubs and programs Vanderbilt has to offer. Since students very rarely use the available channels, such as the What to Fix page on the VSG website or Ariana’s email directly, she often uses Facebook to get a sense of what students want. This semester, she will attend various student organization meetings to directly solicit feedback. Students should not hesitate to reach out to the president if they want something improved, even if it seems minor, because this actually makes her job easier, and in turn, allows her to advocate for more student benefits. Fundamentally, much of what the president does depends on who the president is. An unmotivated president can certainly coast during the entirety of his or her term because of the lack of coverage of what the president does. He or she could have little incentive to accomplish much. However, a driven president has the potential to accomplish a great deal with the help of a compliant administration. Therefore, the election of the VSG president is not merely a popularity contest – it can determine the direction of the university. Collin is a chemistry major and political science minor in his junior year. After transferring from Rutgers University, he joined the Vanderbilt Political Review to contribute as much as possible to collegiate political discourse. He is also the editorial chair for the Vanderbilt College Democrats. Just how do you discover different blogs on Blog writer with key phrase or search? My spouse and i were really excited Peter managed to carry out his reports by way of the ideas he made through your blog. It is now and again perplexing to simply choose to be freely giving helpful hints that other people have been making money from. And we also fully grasp we need you to appreciate for that. Those explanations you’ve made, the easy blog navigation, the friendships you can make it possible to create – it is all wonderful, and it’s leading our son in addition to our family imagine that this concept is pleasurable, which is very fundamental. Many thanks for the whole lot! I am only commenting to make you understand what a wonderful discovery my friend’s girl experienced viewing your webblog. She came to understand many issues, which include how it is like to possess a very effective giving character to make men and women effortlessly understand several complex matters. You undoubtedly surpassed people’s expected results. Thank you for supplying these important, trusted, educational and even fun thoughts on the topic to Evelyn. I simply want to say I am very new to blogging and site-building and absolutely enjoyed your web page. Probably I’m want to bookmark your blog . You certainly have perfect writings. With thanks for revealing your webpage. I simply desired to appreciate you once more. I’m not certain the things that I would have taken care of in the absence of the actual ideas shared by you about such topic. It had become a real terrifying dilemma in my opinion, however , witnessing the very professional fashion you processed that made me to cry for joy. I’m grateful for the service and as well , sincerely hope you realize what an amazing job you are getting into teaching others through your website. Most likely you haven’t met any of us. Thank you a lot for providing individuals with an extraordinarily remarkable chance to check tips from here. It’s always so good and as well , full of a great time for me personally and my office colleagues to search the blog minimum three times in 7 days to find out the newest guides you have. And indeed, I’m also usually contented with all the splendid tricks you serve. Certain 2 points on this page are without a doubt the most efficient we have all ever had. I have to express my thanks to the writer just for bailing me out of this particular difficulty. Because of searching throughout the the web and getting solutions that were not helpful, I believed my entire life was done. Existing minus the answers to the issues you have fixed by way of the article content is a serious case, as well as the ones which might have negatively affected my entire career if I had not encountered your website. Your good know-how and kindness in dealing with all things was priceless. I am not sure what I would’ve done if I hadn’t come across such a thing like this. It’s possible to at this time look forward to my future. Thanks for your time very much for your impressive and sensible guide. I will not think twice to endorse the website to anybody who will need guide on this problem. I wanted to post a brief word to say thanks to you for some of the unique instructions you are giving at this website. My extensive internet lookup has finally been paid with excellent content to share with my friends and classmates. I would admit that many of us site visitors are undeniably blessed to dwell in a good place with very many special people with good principles. I feel pretty grateful to have used the web site and look forward to so many more pleasurable minutes reading here. Thanks once more for all the details.